Two years after revealing that one of the world’s most remote islands was polluted with the highest density of plastic debris ever recorded, IMAS scientist Dr Jennifer Lavers is leading an expedition back to the island to clean up its beaches. Dr Lavers made headlines around the world in May 2017 when a study she led was published revealing that uninhabited Henderson Island was littered with an estimated 37.7 million pieces of plastic. 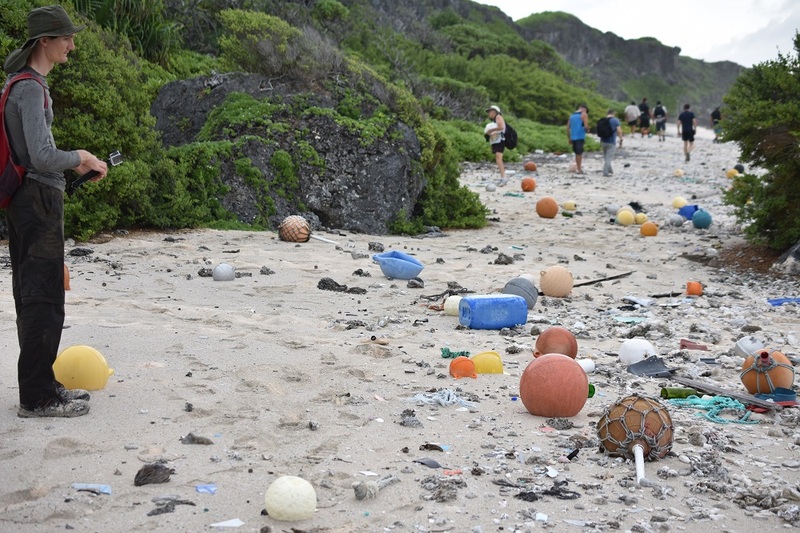 Part of the UK’s Pitcairn Islands territory, the island is so remote that it’s usually only visited every 5-10 years for research purposes, but its location near the centre of the South Pacific Gyre makes it a focal point for marine plastic debris. Dr Lavers will lead an expedition in June, funded by the Pew Charitable Trusts, that aims to clean up the estimated 18 tonnes of plastic debris on the island and investigate its impact on hermit crabs and the physical environment of beaches. During a 3½ month visit in 2015 on an expedition by the nature conservation charity RSPB, Dr Lavers and co-author Dr Alex Bond, who is also part of the return voyage, counted up to 671 pieces of plastic per square metre of beach. 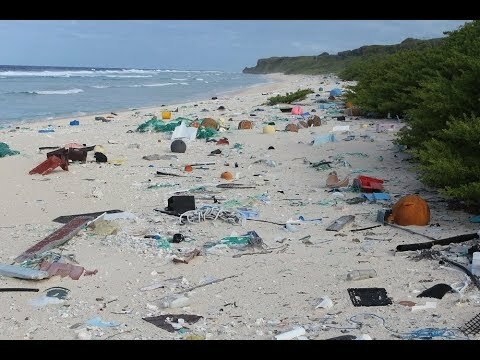 “The plastic pollution that we revealed on Henderson Island in 2017 shocked people around the world,” Dr Lavers said. “One positive aspect of what’s happened there is that the story helped raise awareness of a problem affecting every corner of the planet. “It is encouraging that governments, the international community and individuals are increasingly taking action to reduce the amount of plastic produced and deposited in our rivers and oceans. “When our study came out many people asked what could be done to clean-up the island, so I am delighted that we are now able to go back and do just that. The 12 expeditioners this June will include Mr Robin Shackell, UK Consul-General in Auckland and Deputy Governor of the Pitcairn Islands. Dr Lavers said much of the more than 300 million tonnes of plastic produced globally each year is not recycled, and its buoyancy and durability means it has a long-term impact on the ocean. “On this voyage we will also be conducting further research into the amount of microplastic on the island, the amount of plastic in waters close to the shore, and the impact of the pollution on wildlife. “Plastic debris is an entanglement and ingestion hazard for many species, creates a physical barrier on beaches to animals such as sea turtles, and lowers the diversity of shoreline invertebrates. “Research has shown that more than 200 species are known to be at risk from eating plastic and we will specifically look at how hermit crabs and one of the island’s main bird species, Masked Boobies, are being affected. “Two bird species found on Henderson Island are among the 55 per cent of the world’s seabirds at risk from marine debris,” Dr Lavers said. The clean-up expedition will travel to Henderson Island from the 4th to the 26th of June, with the team also including scientists, representatives from environmental NGOs, locals from Pitcairn Island, and a media team which will produce a documentary to highlight the issue.